Paula Matt has dedicated her life to animals. Originally she started college as a fashion design student, but realized it wasn't the best fit when she only wanted to design dog clothes. Matt switched programs and ultimately became a veterinary technician, which she's been doing for the last five years. "I love being a vet tech, but it's demanding, and can make you burn out," she says. Her new shop, on the other hand, "is frivolous and fun. But it also allows for me to give back through things like adoption clinics." 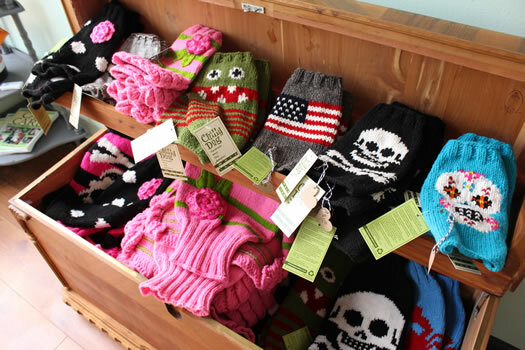 Matt started Henry Loves Betty as an online Etsy shop where she sold hand-knit sweaters for dogs, cats -- and chickens. 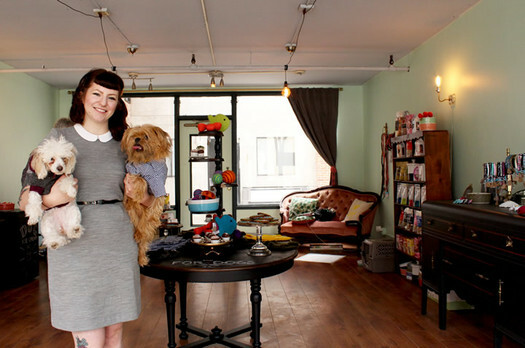 She's always been clued into the pet industry, and followed pet blogs to keep up on all the latest products and trends. 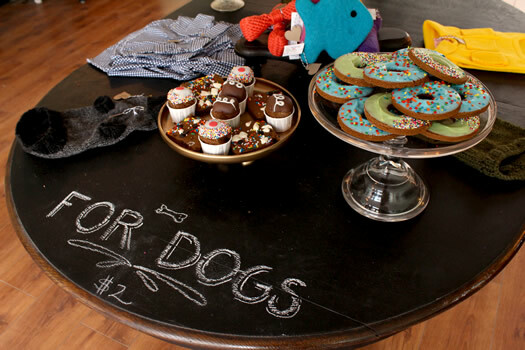 She started her shop as a way to "help people spoil their pets and take care of them." 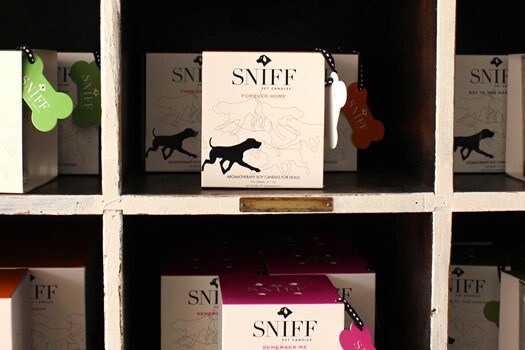 + When I brought up the candles for dogs, Matt pointed out that the fresh scents -- including a couple cut-grass ones -- actually smell good for humans, too. "They've been really popular, with a lot of people buying them." + I teased her about the "India Puppy Ale" treats (made by SniffingButt Dog Bone Brewery), but Matt informed me the treats are made from spent beer grain, which often is discarded as waste. + As for the chicken sweaters that Matt hand makes, she says they can help protect a chicken who is being picked on by their coop mates. Otherwise, it's just fashion for your chicken. I guess there is something behind spoiling your pets. Matt also pointed out that the pet industry overall is large and continues to grow. "People are more likely to spend money on their pets than they are to go out and purchase alcohol. It's a recession-proof industry." 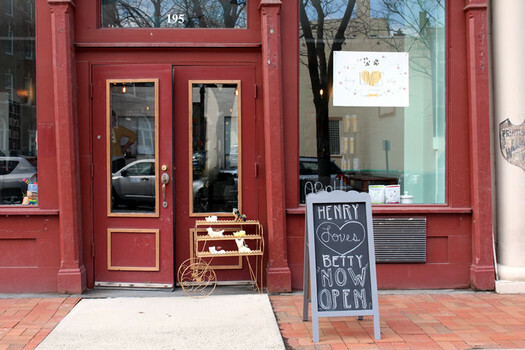 While there are three pet boutiques in Saratoga Springs, there's currently nothing like Henry Loves Betty in Troy. And not all of the items are as funky and hip as dog birthday cake mix. Henry Loves Betty also stocks more typical items such as toys, treats, food, collars, and the like. Matt says the focus is on creating a curated selection of healthy and fun options. "It's sometimes hard having pets because they're dirty and messy. I want to have nice things, even though I have pets." I hope Paula is as successful as she deserves! I am so excited for this to be happening!!! Thank you so much!!! Just wanted to add quick that we have products available for cats and their people as well! Collars, hand-made toys, organic cat nip and more!